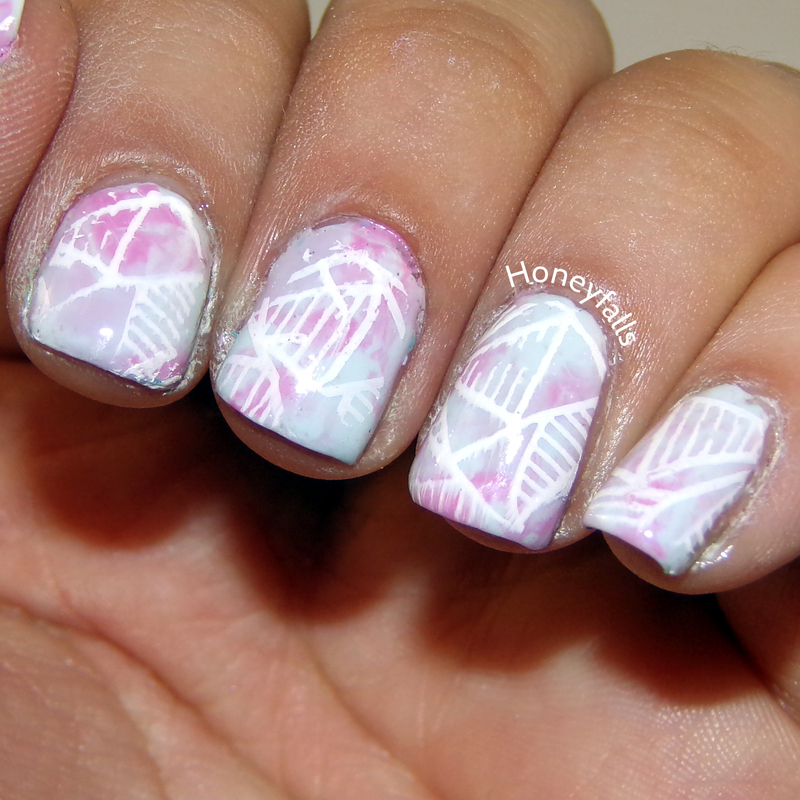 I have a couple of nail art designs from, like… months ago? It’s been a while haha. Eeeeeww please don’t mind that one random cat hair. It was stuck to the sponge I used for my gradient, I think, and I didn’t notice it on the nail. 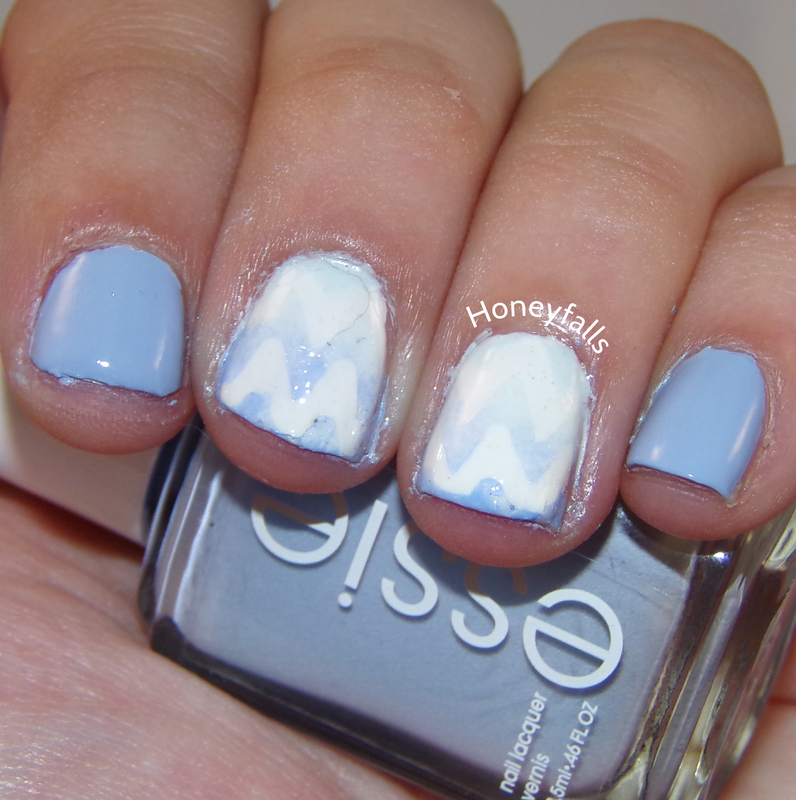 This first mani uses all Essie, except for the white base. On my pointer, pinky and thumb I used Essie Saltwater Happy, which is pretty periwinkle blue with an adorable name to boot! This was two coats, and the formula was impeccable—I made a note of that because I know Essie is known for having… not great formulas for light colors like this one. Then I have this gal here, which was my first attempt at doing the saran wrap technique—painting a base, then blobbing on a few different colors and pressing down on it with a piece of saran wrap so it all blends and swirls together. I used Hard Candy Prep Squad, a pale lavender, as my base. Then I blobbed Prep Squad on top along with Find Me An Oasis (again!) and Essie Cascade Cool, a light, slightly lavender-toned dusty pink. 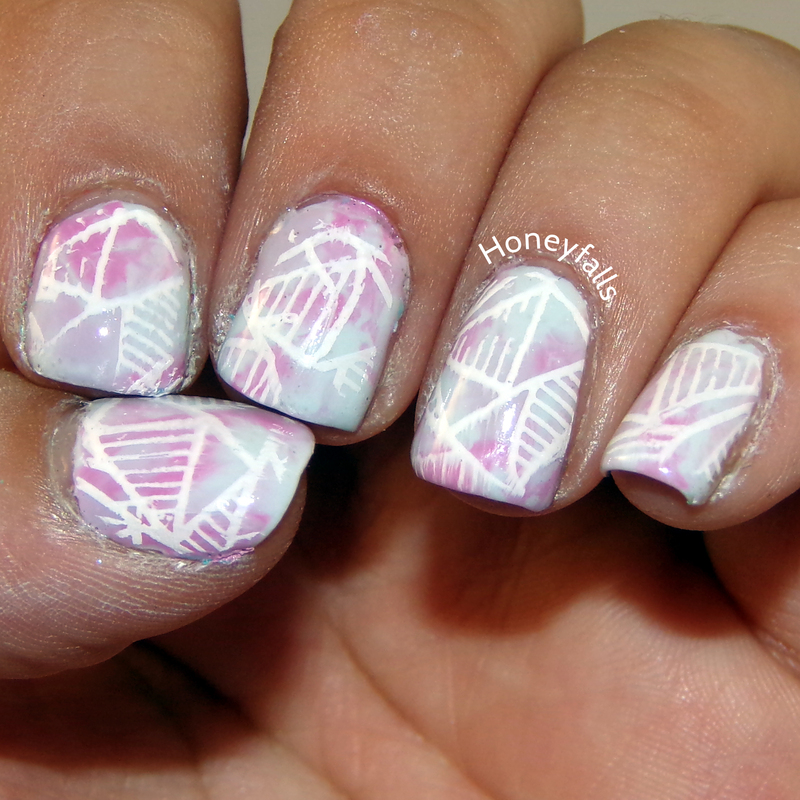 Did you know that white polishes meant for french tips are actually great for stamping? It’s because they’re thick and are meant to be opaque with one swipe. I can’t imagine having done this design with any other white. I used Color Club French Tip (per the fabulous Simply Nailogical’s suggestion) and I love it! It’s not perfect, but I’ll improve with some practice. The stamping plate is BM-XL16 from Bundle Monster.